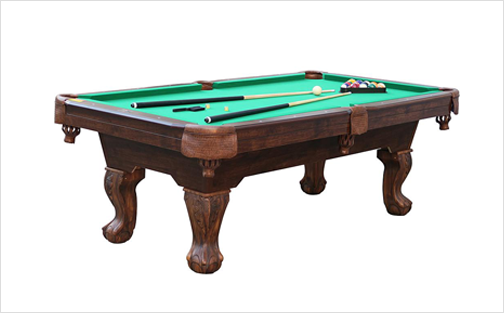 Elegant Mobile Billiards Table comes complete with deluxe accessory rack with several high end pool cue sticks. Beautiful styling and precision performance billiard table. 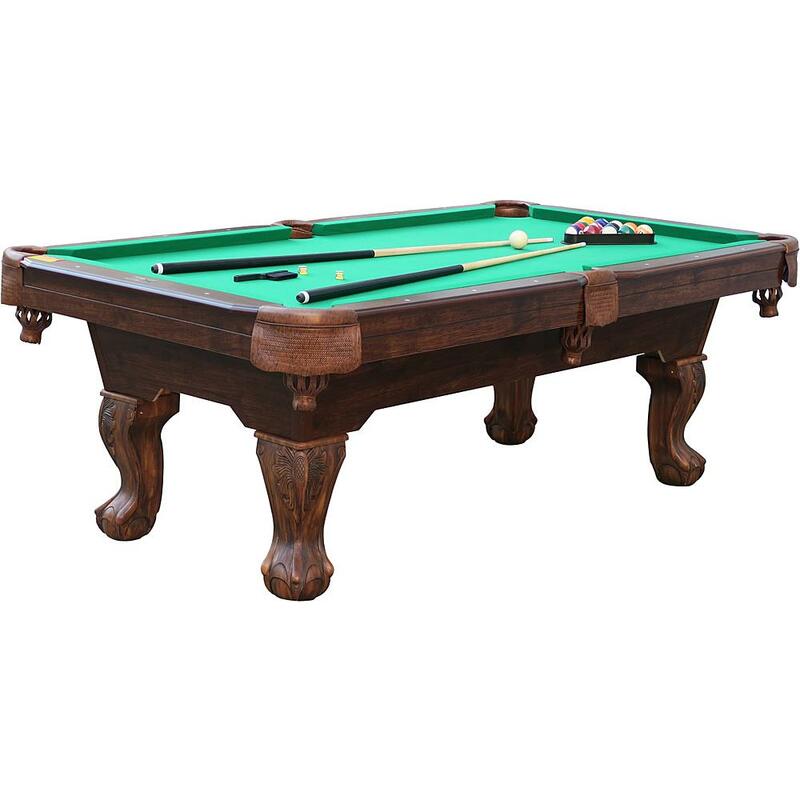 89.5" x 50.5" x 31"
Elegant Mobile Billiards Table comes complete with deluxe accessory rack with several high end pool cue sticks. Beautiful styling and precision performance billiard table. Table features a high quality, scratch resistant rail coating accessories rack. This table comes complete with a full complement of accessories. Genuine K-818 specification bumper guards, consistent bounce. Polyester velvet felt for smooth ball roll.